Army Sgt. 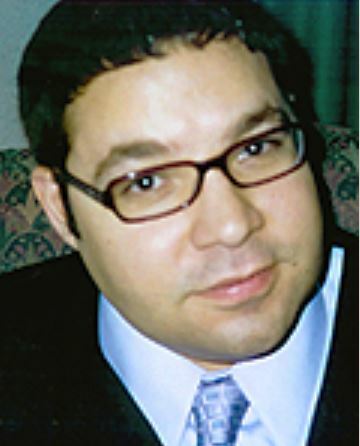 Pierre A. Raymond - Run for the Fallen New Hampshire, Inc.
was attacked by enemy forces using indirect fire in Ramadi, Iraq. Pierre grew up in MA and NH, with his parents Santina and David, and his sister and two brothers. 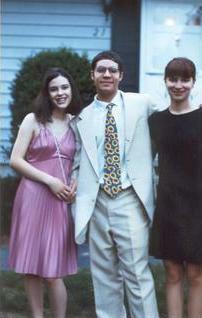 He graduated from Salem High School in NH in 1994, and attended Northern Essex Community College for a time. His family says they have few photos of him as a child, because he was always running in the park. He’s remembered for having a zest for life, happy and always laughing and joking with those around him. 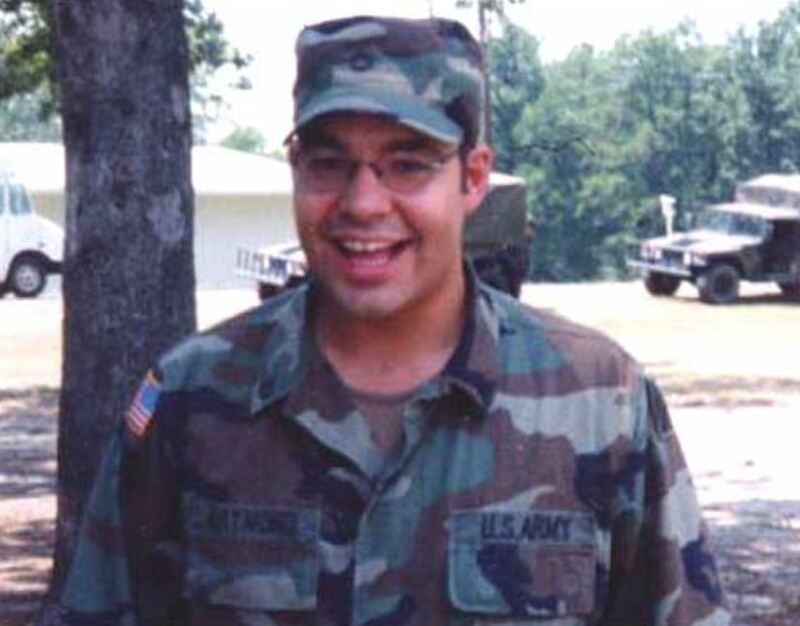 Pierre joined the Army in 1998. He served for thirteen months in Bosnia as a member of the U.N. peacekeeping force until his discharge in 2001. He was working and had spent some time traveling when he was called back into the National Guard in 2005, to serve in Iraq. He was assigned to the 228th Forward Support Battalion/28th Infantry Division, which supported a Marine Expeditionary Force. Pierre’s passion for cars and his talent for repairing them was a technical ability that served him well in the Army. He was an Army mechanic charged with maintaining Bradley Fighting Vehicles in his Army battalion. Pierre arrived in Kuwait in June 2005. He was in Iraq just one week before sustaining fatal injuries from an explosion that ripped through his barracks in Ramadi, Iraq. His friends and family recall his playful nature and his wonderful laughter. Even as he lay wounded in his hospital bed, he was talking and joking with doctors and nurses and was in good spirits. He died five days later from those wounds, surrounded by his family in the Landstuhl Regional Medical Center in Landstuhl, Germany. ”I'd give anything to have my brother back," said his sister, who was at his bedside in Germany. "But to be there, to be able to laugh with my family when we remembered his jokes was amazing. It was a gift." Pierre was preparing to celebrate his 29th birthday and returning to his family and his girlfriend, with whom he had lived before deployment. He was planning to finish a college degree in psychology. In Pierre’s final hours, his family joined him at his bedside in Germany, and his mother accompanied him on his journey home to the United States after his tragic death. ''The pilot said, 'We have a hero on this flight and sadly, he isn't with us, but his mother is escorting his remains,' “said his sister Barbara. The normal bustle of an emptying airplane immediately ceased, she said. ''He went on to say that 'a sergeant from the Army is escorting them as well', and then [the pilot] thanked him for doing what he did and for keeping us safe and free." As Raymond's mother, Santina, got up to walk off the plane, her fellow passengers gave her a standing ovation. ''I was thankful that he was remembered like he was angel," said Santina, ''He was a hero, so everybody cheered. It was wonderful. He was wonderful." His awards and decorations include the Global War on Terrorism Service Medal, National Defense Service Medal and the Iraq Campaign Medal. If you have additional information on Pierre’s awards and decorations, please contact us. Pierre is survived by his parents Santina and David Raymond, sister, Barbara Bell and two brothers, Joseph and Alfio Raymond and his extended family. Sgt. Pierre A. Raymond loved his Sicilian heritage, and longed for the day he could pay tribute to three martyred saints who meant so much to him and his family. But the Army hero could not realize his dream of marching down Common Street in Lawrence as a member of the society that sponsors the Feast of the Three Saints, which marks its 90th anniversary this weekend.